They say that colors adds life to the world. Personally, I believe so too considering how I love nature and all its wonders. However, in art, colors are not the only way. Art in black is true art for itself. Its shades add mystery to the subject and depth to its meaning. In a more contemporary perspective, black is the new color of fashion. Have you seen people who consider themselves vanguards og goth and “emo”? They are two of such examples but this article is not for them though. 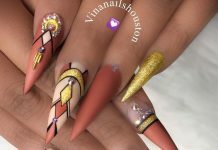 What I’m getting at however, is their preference for nail color, which you guessed right by now– black. 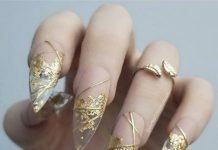 Black nail art, specifically matted black, is one of the new trends in nail fashion these days. Just like cars, matted black looks bold and strong yet soft and elegant. 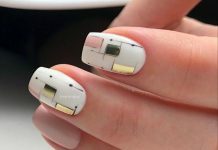 Combined with beveled designs or glitters, this nail art technique is sure to captivate the elites and the elites alike. 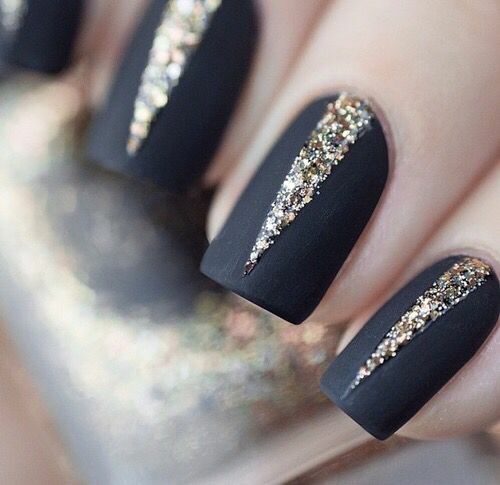 Take a look at these 34 Stunning Matte Black Nail Art Designs and get inspired!